Comments taken out of context led to outcry last week. Last week NBC and the creator’s of its upcoming musical drama, Rise, were criticized by many outlets, including Out.com, after reports came out that the show had straight-washed one of its main characters. As described in our original story, the show will center on a high school teacher in a blue-collar town as he breathes life back into his school’s theater program. The series, which we mislabeled as an adaptation, is loosely inspired by Drama High: The Incredible True Story of a Brilliant Teacher, a Struggling Town, and the Magic of Theater, by Michael Sokolove. 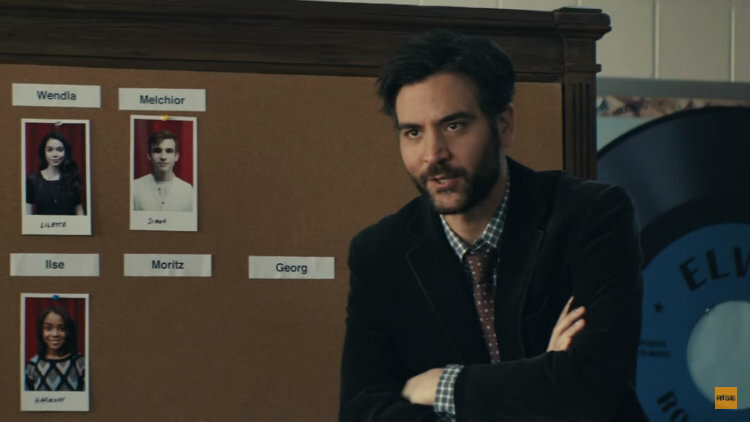 Lou Volpe is the real life, then-closeted subject of Sokolove’s book, but when Rise premieres this March, the teacher will be a straight man named Lou Mazzuchelli (Josh Radnor). Speaking at the Television Critics Association’s press tour last week, showrunner Jason Katims hailed Lou Volpe’s story as inspirational, but added that for Rise he had to make it his “own story.” This was interpreted as meaning Katims wanted his version of Lou to be straight so he could better relate to him on a personal level. Rather, Katims was saying he wanted Rise to have faint echoes of Sokolove’s work, but be an original unto itself. “The misinterpretation by some of what we’ve done with this show goes against what we fundamentally believe and who we are as individuals. We are firmly committed to LGBTQ inclusion, and most of all, are excited for the community to see Rise, which we believe portrays positive depictions of LGBTQ characters and stories on broadcast television with honestly and sensitivity. To that end, we worked with GLAAD on the show’s LGBTQ storylines to ensure they are told with respect and authenticity,” said Katims, and executive producers Jeffrey Seller and Flody Suarez in a statement to EW. Though Lou is not gay, Rise will still feature an inclusive cast and various LGBTQ characters. A transgender person will have an impactful coming out story in the series and a student will explore his sexuality for the first time after he’s cast in a gay role in the school’s production of Spring Awakening. The series features Auli’i Cravalho (Moana), Shannon Purser (Strangers Things), Rosie Perez, and Josh Radnor (How I Met Your Mother) among others and premieres on NBC March 13. Read Katims’ full TCA comment and watch the trailer, below.